Ride your bike in style with crocheted skirt guards, leather beer carriers, hand-carved saddles and picnic sets that cost more than your car. These luxurious bicycle accessories will make sure you’re ready for drinks at the park or a fashion shoot with Vogue while also outfitted in top-of-the-line practical gear worthy of even the most serious cyclists. This DIY mini bar is built right into the unused section of a bike’s frame, packed full of coasters, cups, bar tools and mixers with a lid that folds down to become a tiny triangular table. 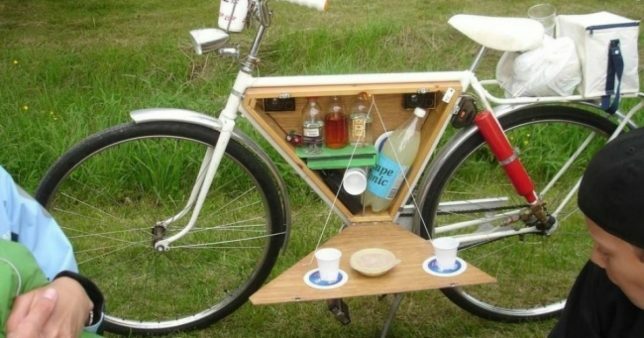 It’s a pretty clever idea for picnics – just don’t drink and bike. Want one of your own? You’ll have to make it yourself, since it’s so particular to the individual shape of your bicycle. 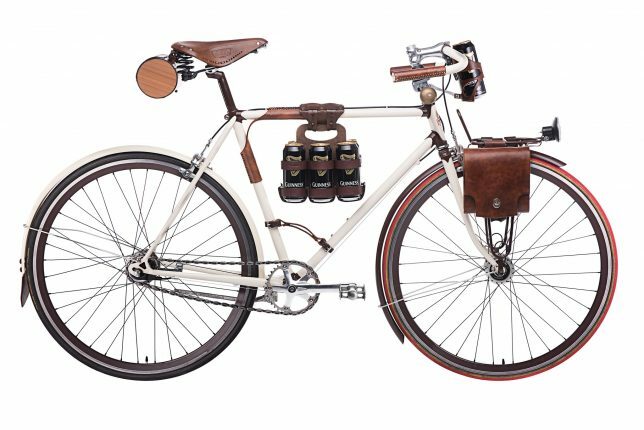 If beer is more your (bike) speed, there are options for that, too – like a fancy lather carrier that holds either a six-pack or an entire growler and mounts to your saddle or frame. 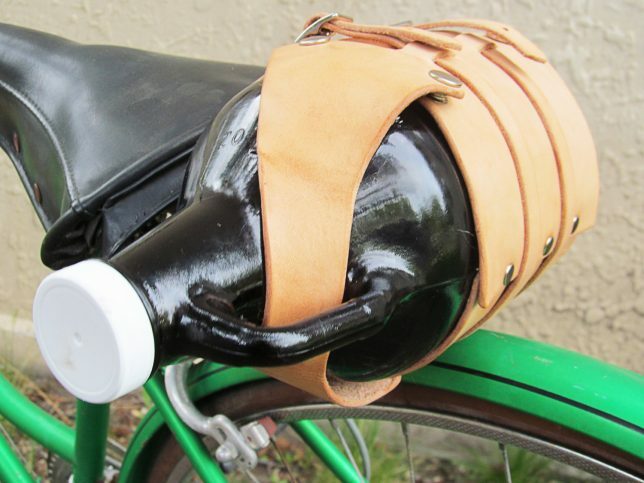 The full-grain leather growler coozie by Cicada Leather Company fits most 64-ounce glass growlers, and Walnut Studio’s ‘Bicycle Beer Combo’ comes with a ‘frame cinch’ design, which can be used to carry anything with a handle on the top tube of your bike. Why sacrifice your fashion sense while biking? 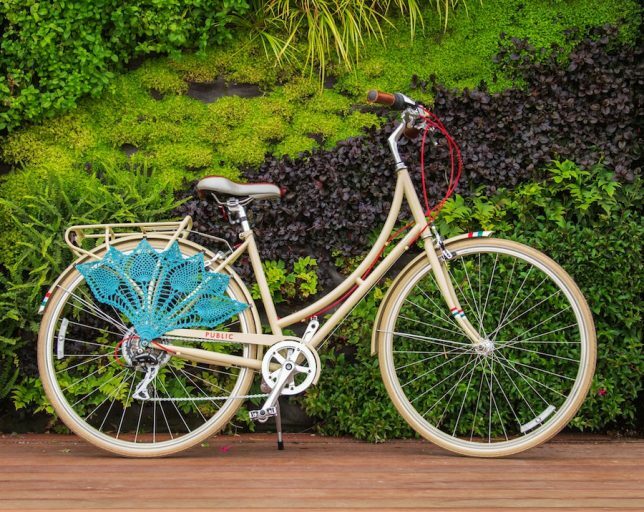 Not only does this crocheted add-on make your bike look fancy, it enables you to wear skirts and dresses without worrying about them getting caught in your spokes. Made by Knits for Life, it comes in two sizes and snaps onto the fender with included clips. 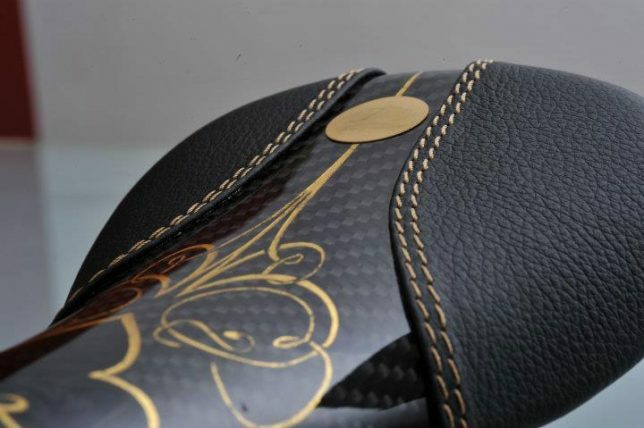 If you can’t afford the whole Fendi shebang, but still want to drop a giant wad of cash on your ride, replace your saddle with one of three designs by Crown Saddles – the Graf Ludwig, the Konig Friedrich or the Herzog Eberhart. 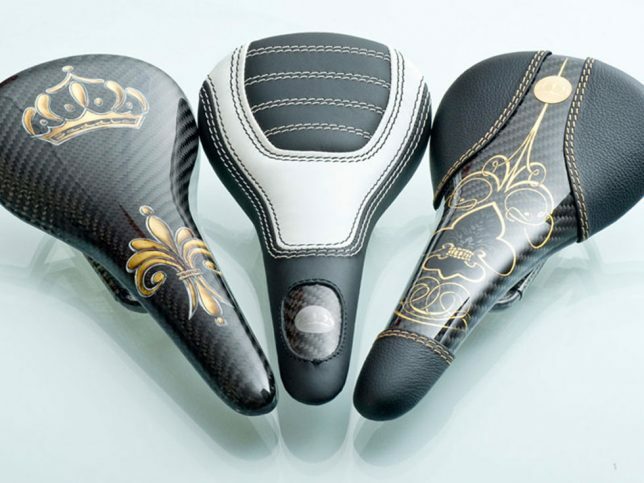 The priciest saddles in the world, with the Herzog boasting a price tag of €1554 Euros (around $1700 USD), the saddles are made of lightweight carbon fiber and Kevlar Rowling with airbrush finishing.